The pants I plan to make. So it’s the first week of March which marks the start of Clevergirl’s pant sew-along (where you also can see links to the other participants). 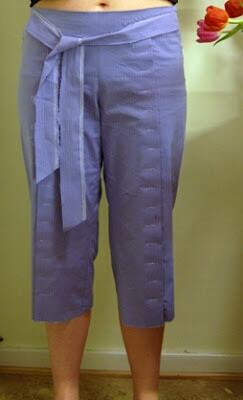 As I’ve blogged about before, I’m planning to make a pair of fully buttoned cropped pants. They are a copy of a pair that I found in an Anthropologie store when I visited NYC back in 2004. They have been on my mind since then, but I’ve been waiting for both the right fabric and a new sewing machine, since my beloved Husqvarna/Viking from the late 60’s makes terrible buttonholes. Now both things are in place: Last year I won a wonderful pale blue rayon/linen/lycra fabric when I placed in the Timmel swap and I recently bought a used Bernina 1230 that makes pretty good buttonholes. 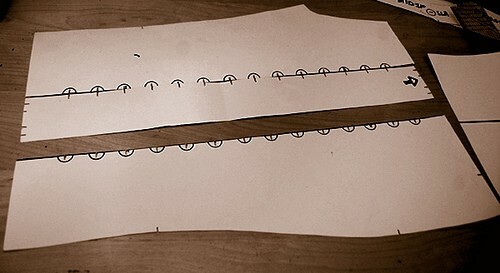 I will draft my own pattern, using a trouser block that I made in a pattern making class and a Mrs Stylebook instruction for the cropped pant adaption. There are some additional details to figure out, especially around the waist, which is why I did a drawing of the pants. Also we are moving in two weeks and have not packed a thing yet, so some slight chaos might ensue, but I still feel optimistic that I’ll be able to finish the pants by the end of March. 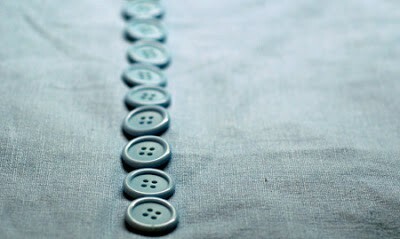 Cute style and good luck with the millions of button holes. Something to watch for, design-wise, is that they are wide enough at the knee to bend comfortably with the buttons there. Pants are usually wider at the knee than capris, so it doesn’t affect them the same way. But a lot of cropped pants, even ones that seem wide, are tight at the knee when bent. Add buttons to that, and you may not like the feel. >>BeeBee: Thank you for the heads up on the hem width, hadn't thought about that at all. 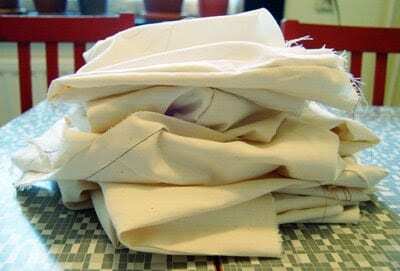 I will make a muslin first with tacks instead of buttons, so I might need to adjust the width after that. In fact I will go and recheck the width right now, maybe they are too tapered. I’ll be eagerly following your progress – good luck! wow – they look uber-stylish .. how nice to be able to sew something for spring! What’s the MSB issue number? I want to look it up! >>Geek sewing: They are from nr 150 (first summer issue of 08). There are loads of cropped pants in that issue, and many other nice styles too. The range is good as well – from lady classics to hip modern shapes. I guess I can’t say it enough — these are going to be soooo amazing when you have finished them! It would be fun for you to style them as in the inspiration photo, too. 🙂 What program did you use for the technical drawing of your new pants?